Whether you're a commercial business owner or a residential homeowner, Rooter Pro Plumbing is the professional plumbing company of choice in California because we do expert work and treat our customers right. We service many areas in and around the Modesto, Manteca, Stockton, and Tracy, CA area with full plumbing services. We are also available for full service dispatch 24/7 emergency plumbing repairs. We use the latest tools and technologies for all our plumbing services to make sure the work is done effectively and efficiently. Whether it's new installation, repairs, or replacement, we can take great care of all your plumbing needs. Rooter Pro Plumbing puts customers first. We give you upfront, competitive prices, 100% satisfaction guaranteed on workmanship, arrive in fully stocked trucks, and do background checks and drug testing on all plumbers for your safety. Our Manteca and surrounding area plumbers are fully trained, licensed, insured, and experienced. 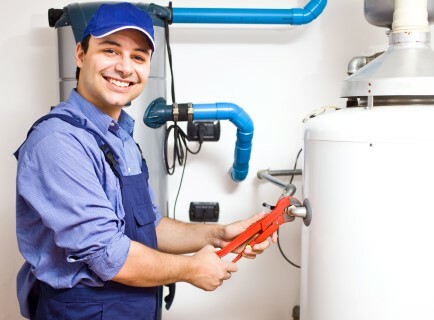 You can count on us to get your plumbing project or repairs done right the first time! From sewer lines to leaky faucets to water heater replacement or drain cleaning and so much more -we'll be there for you when you need us!